How Outdoor Lighting Can Go Wrong | Augusta Green Sprinklers Inc. 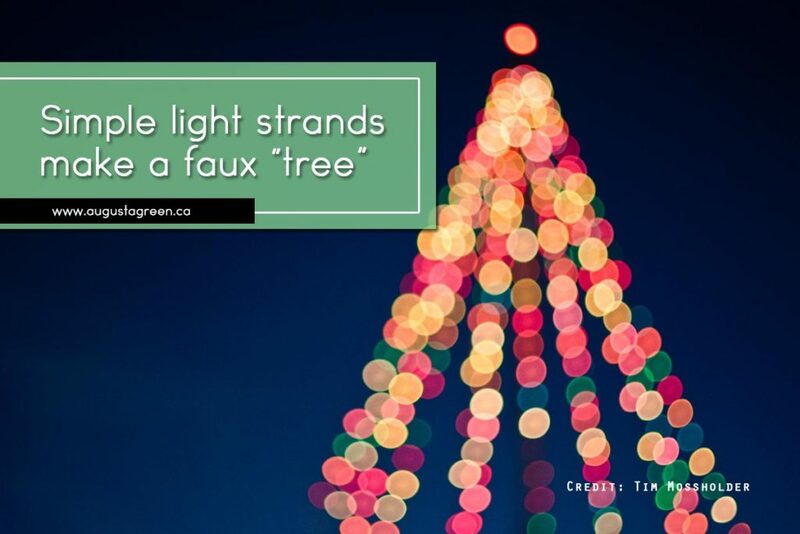 Efficient – LED Christmas lights create light using light-emitting diodes, rather than a filament. LED bulbs are a great choice for outdoor lighting and far more efficient than traditional incandescent lighting. Adaptable – Some types of bulbs can be programmed to change colour depending on the holiday or season. 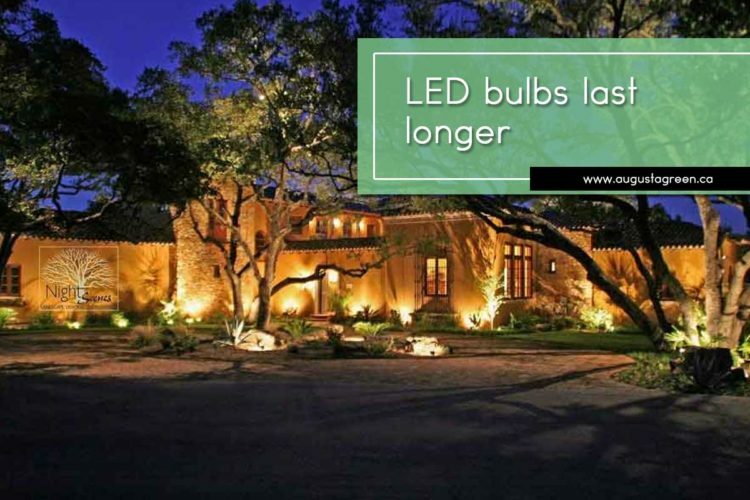 Durable and Longer Lasting – These lights are more efficient, durable and longer lasting. You don’t have to replace them as often and they stand up to harsh outdoor winter weather year after year. Safer – LED bulbs are safer They don’t get hot to the touch and don’t burn out like other bulbs. One often-overlooked aspect of creating outdoor lighting is light pollution. This term is defined by the Dark-Sky Association as “the inappropriate or excessive use of outdoor light.” This kind of light (and the electricity used to create it) is wasted by spilling it into the sky, rather than focusing it on to the actual objects and areas that people want illuminated. Here’s how to help minimize the harmful effects of light pollution. Shielding – Lighting professionals often recommend shields that go on top of a light and focus it to the area you want to illuminate. This prevents light from spilling into the sky. Focus – Keep lights pointed toward the ground or focused on certain element(s). Illumination – Focus lights with the purpose of highlighting dramatic and interesting elements in your yard; not just pointed any which way. 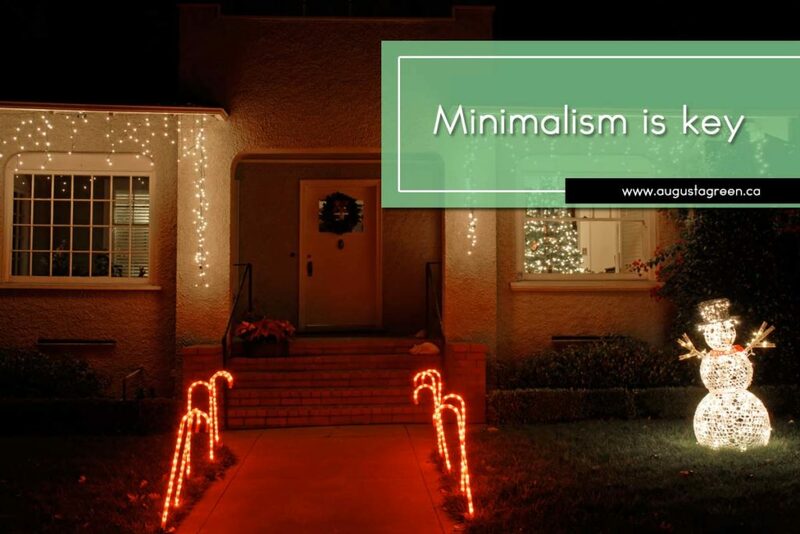 Minimalism – Apart from the blinding effect of a yard packed full of lights, less lighting can often create a more dramatic effect. Think about key locations to highlight special areas of your yard, and home. An outdoor lighting professional can assist with a plan that does this year-round. Shadows – Many of us only think about the areas where light is shining. Shadows can offer a tasteful and dramatic effect. Consider lighting trees to throw a shadow against the snow or a nearby wall. Again, lighting experts can easily do this for you and save the time necessary for trial and error. 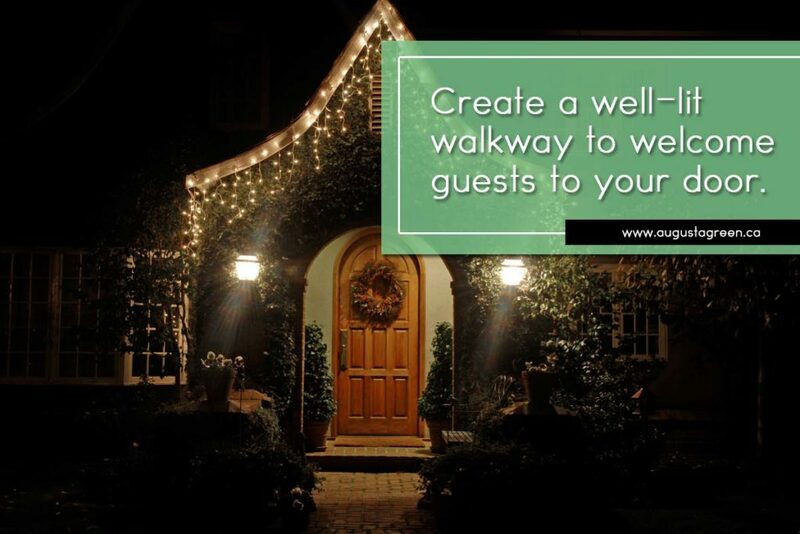 Entryways – Little can be more inviting to holiday guests than a well-lit path leading to a welcoming doorway. It a simple idea, but it is very important that walkways and entrances are well lit, especially in hazardous winter weather. Choose Fixtures Carefully – Picture the effect the light will have, not just how the fixture looks. A particular lantern may fit your décor, but may not be ideal for brightening up a dark walkway. Beam Spread – Experiment with how wide a beam of light will spread. Choose lights that can be focused to highlight an important outdoor element rather than a general wash over the whole yard. When adding strands of lights, sometimes a small area is all you need, rather than bathing the whole house (and spending hours on a ladder). Now, let’s move on to more permanent lighting choices, aside from the holiday bric-a-brac. This is where a professional lighting team can really be an asset. Even if you’re not concerned about energy costs, outdoor lighting can be a costly endeavour if you don’t know what you’re doing. Trying to cut corners and do things on the cheap can increase expenses. Cheaply made fixtures – Inexpensive items you find on sale may last for a season but won’t stand up to the wear of the harsh outdoor winter and summer seasons. Quality Materials – Many lighting professionals recommend using brass and copper fixtures. Materials that endure for years will be worth it in the long run. Fixture Location – Think about placement that will highlight important elements of your yard. Light Glare – As we mentioned in the holiday lighting portion of this article, keep fixtures shielded and pointed away from oncoming traffic and passersby. Path Lights and Walkways – Keep all your visitors safe. Now that it gets dark earlier, make sure Canada Post can find their way to your door, and doesn’t spill your packages! Create well-lit paths. Up Lighting – Up lighting can highlight trees, bushes, walls, or special features. At this time of year, if you have a nativity scene or decorative snowman, you can focus some ground lights to showcase the display. Silhouetting – Lights behind objects can create a dramatic silhouette effect. Wash – A wash is a general fill of colour and light spread evenly across an area. This may cover large areas with a special holiday hue. 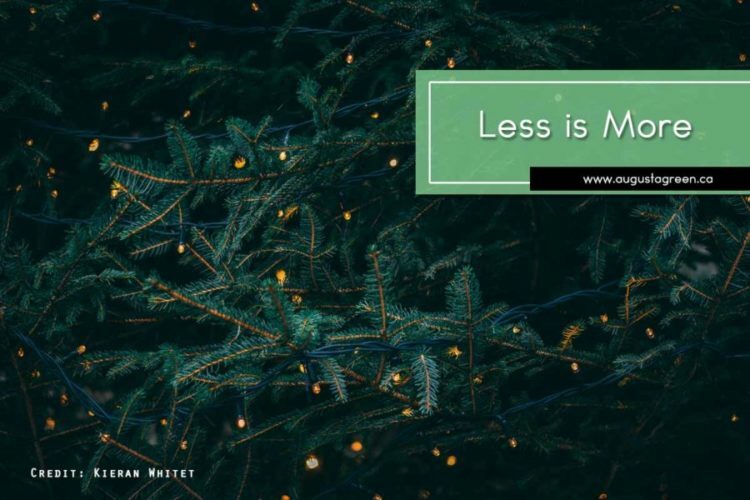 Now that you have a rudimentary understanding about some holiday decorating ideas, and the more elaborate plans you can make for your outdoor landscape, remember to avoid excess. 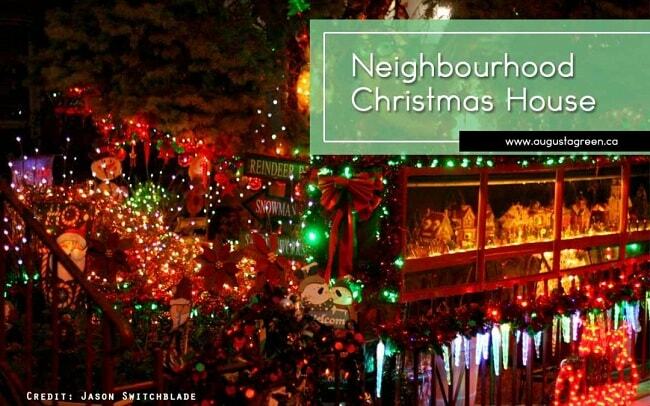 In the classic holiday movie “National Lampoon’s Christmas Vacation,” Chevy Chase sets up outdoor holiday lights using 250 strands that cover the roof and yard — meeting in a tangled mess of electrical cords. He flips the switch, strains the power grid, and blinds the neighbours. 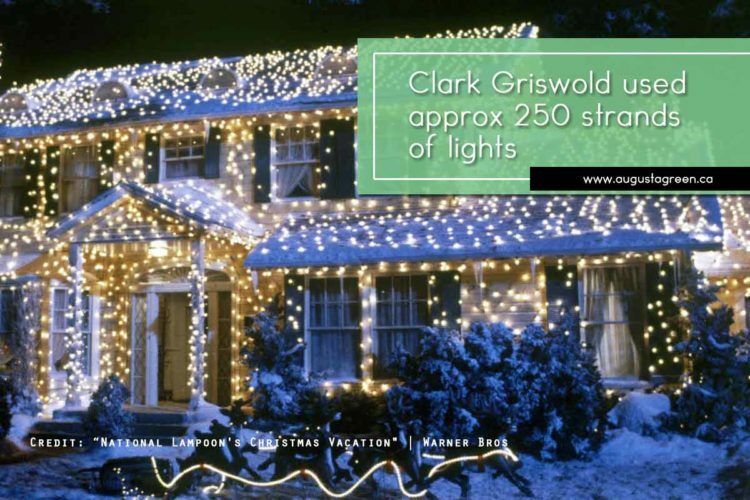 It’s estimated that if Clark used 250 strings of lights, it would cost approximately $4000 to light his house for one month. Avoid this kind of trouble; get assistance from the professionals. 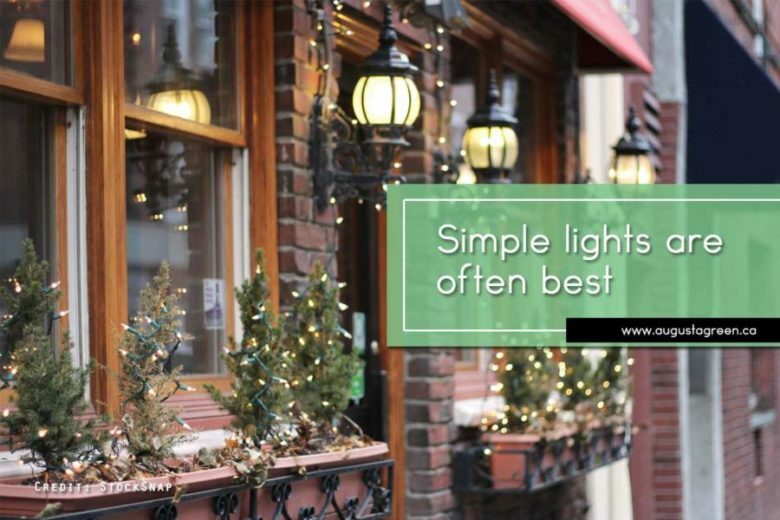 Outdoor lighting may seem complicated but it doesn’t have to ruin your holiday. Augusta Green Sprinklers can create a lighting system that beautifies your space throughout all seasons. Call us for full service landscape lighting for Toronto residential or commercial properties. 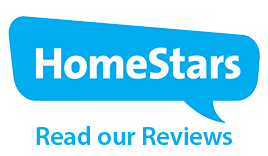 Our friendly team of professionals will create a look that provides both function and style: (416) 227-1666.